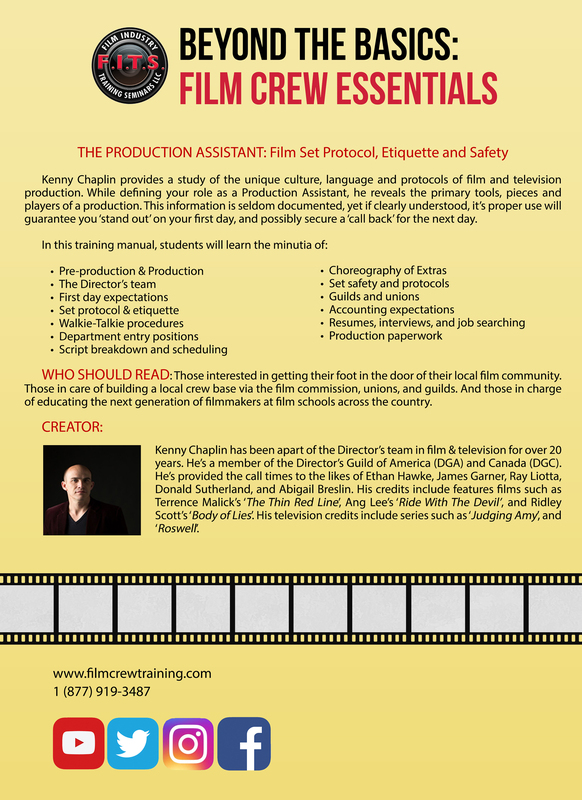 This Production Assistant workshop and training manual defines topics within Pre-Production and Production. 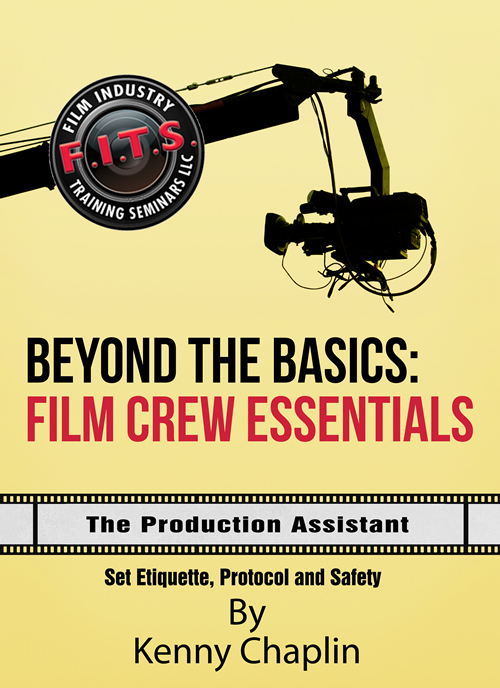 Specifically, it unravels the questions regarding tax credits, positions within the various departments, what can be expected on any given work day, how crewmembers communicate, working with or being apart of the background performers (Extras), how a script is broken down and scheduled, production paperwork, safety responsibilities, the organized labor groups, accounting, and finally finding work, interviews and film friendly resumes. Tax Credits and why are they shooting here? Production Paperwork overview – Prep schedule, Call sheets, Production Reports, DOOD and more. Everyone who has an interest in how a film gets made should attend this seminar. Anyone who just wants a job in the film business. Or someone like YOU (!) who has just finished film school and are wondering, “Now What?”. What will likely be your first job on a film set? How do you prepare for it – physically, mentally, and financially? What are the universal protocols and etiquette between the cast and crew? What will make you unforgettable on your first day? Get inside this unique culture, learn the lingo and nuances, and hear insightful lessons via tales from the field, exercises, and visuals. Make a small investment in getting a concise, fast, and practical education from someone who has been there before you. IF you are a young, self proclaimed Director, come to this seminar (or at least read this manual) and learn why holding this entry level position will give you an insight into how to treat your cast and crew. IF you are simply interested in film, and WANT to work in film … but do not know what position suits your desires, goals, and dreams – come to this seminar. Finally, if you want no part of the industry, but just wish to hear some inside scoop on how it operates – come inside the kitchen and find out how ‘glamourous’ it really is.